WFSU/Florida Public Radio reporters, as well as reporters from public radio stations across the state, bring you timely news and information from around Florida. Whether it's legislative maneuvers between legislative sessions, the economy, environmental issues, tourism, business or the arts, Capital Report gives information on issues that affect the lives of everyday Floridians. 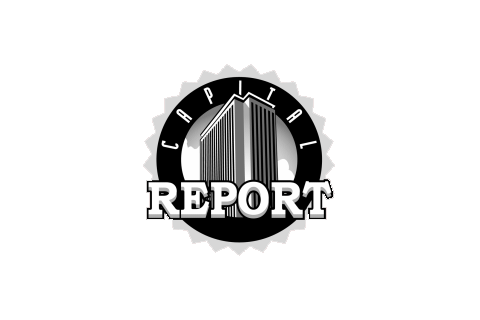 Capital Report is broadcast each Friday at 6:30 pm and 9:00pm ET on 88.9FM - WFSU Tallahassee, 5:30 pm CT on 89.1FM -WFSW Panama City and on public radio stations across the state (check local listings). During Florida Legislative Session: Weekdays 6:30 pm & 9:00 pm ET - 88.9FM WFSU Tallahassee & Weekdays 5:30 pm CT - 89.1FM WFSW Panama City and on public radio stations across the state (check local listings). The Florida House and Senate have both passed their versions of next year’s budget. Both proposals spend about 87-billion dollars. But Regan McCarthy reports the two plans remain for apart when it comes to how much of that money is put toward issues like healthcare and education. House Bill 7055 has been a lightning rod for controversy. The measure is known for a move to offer bullied students scholarships for private or charter schools. But, tucked away in the bill’s 200 pages, one provision threatens teachers’ unions with decertification. Andrew Quintana reports. Lynn Hatter talks about today’s Tallahassee hearing by federal Bureau of Ocean Energy Management officials (attended by many nervous environmental groups) on the topic of opening up drilling leases in federal waters off the Florida coast. Florida lawmakers want to cut penalties for people who accidentally show their concealed weapons. The bill is ready for a floor vote in the House. But Kate Payne reports gun control advocates are worried the plan is a step towards open carry. Florida lawmakers want to restrict an abortion procedure that’s typically done in the second trimester. Judges in other states have struck down similar laws as unconstitutional. But Kate Payne reports legal concerns are not slowing the bill down. A note to our listeners, this story may be distressing to some. Lynn Hatter was following the opening arguments today as the Florida Supreme Court considered a challenge to the state’s anti-hazing law. The Florida legislature is again considering banning fracking—the process of extracting oil and natural gas underground. Lynn Hatter reports lawmakers have tussled over the issue in recent years, but proposal sponsor Dana Young says the process is too dangerous to allow in Florida. Florida lawmakers want to expand the use of digital voting and tallying machines. Many of the state’s election managers are behind the plan. But Kate Payne reports others don’t want to leave the paper ballot behind. With an amendment heading for the November ballot that would give future gambling decisions to voters, Florida lawmakers are pushing a raft of measures to overhaul the industry. But Regan McCarthy reports not everyone is on board. Florida lawmakers want to weigh in on who really has access to Florida’s beaches. Kate Payne reports a bill moving in the House is meant to settle a long-running dispute between private landowners and the public. Reform-minded Florida lawmakers are having some disagreements over how to address sexual harassment. House Republicans have significantly expanded their measure. Kate Payne reports that could make it more difficult for the two chambers to agree. A proposal tightening regulations on nursing homes in the wake of more than a dozen deaths of residents in a South Florida facility following hurricane Irma has been watered down. And as Lynn Hatter reports a slight change its sponsor says would have benefitted elderly residents, was rejected Thursday. In the wake of natural disasters, stagnant wages and a growing inequality of wealth, Florida is suffering from an affordable housing catastrophe. Shawn Mulcahy reports concern is growing statewide. President Donald Trump’s first State of the Union address is getting approval from Florida Republicans who say he struck the right tone, especially when it comes to immigration and infrastructure. But will that translate into something real for voters. Lynn Hatter spoke with Republican National Committee spokes-woman Taryn Fenske who says, she certainly hopes so. Some 47,000 Florida students are being bullied or have been in some sort of violent situation—be it school fights, or harassment. And a priority of House Speaker Richard Corcoran is getting those kids some help. But as Lynn Hatter reports a proposal allowing those kids to transfer to other public and private schools is making its way through the legislature but critics say it’s not a solution to the problem. About five million dollars separates the Florida House and Senate’s criminal justice budget. But, as Sascha Cordner reports, while there are some differences, there are areas where both chambers agree. Home rule is a growing subject of debate in the state of Florida as local government leaders fight against preemption and a House many say is particularly aggressive in its efforts to dismantle local rules that it sees as crossing the line. Now as Regan McCarthy reports the issue is before the state’s constitution revision commission. Florida voters could be asked to reconsider a long-standing ban on public funding to religious organizations. The proposal passed a key education committee of the Florida Constitution Revision Commission Friday. Lynn Hatter explains what the Blaine Amendment is, and its impact on education in the state. With a new change, a bill has narrowly passed its first Senate committee giving religious institutions the right to allow guns on their property, if they’re attached to a school. As Sascha Cordner report, that’s after it’s failed twice before in that same committee for the 2018 legislative session. Florida lawmakers want more people to be able to report a drug or alcohol overdoses without fear of retaliation. The effort comes after the high-profile death of a college student, and as the state’s opioid-related deaths continue to rise. Kate Payne reports. A gun bill that’s had some problems in the Florida Senate this legislative session has passed its first House committee. Sascha Cordner reports. The Florida House and Senate are already clashing over education—higher ed in particular. Lynn Hatter reports the House is planning deep cuts for the state’s public colleges and universities while the Senate is looking to increase funding for both systems. New legislation expanding a needle-exchange program moved through both the Florida House and Senate today. Sara Hetherington (heather-ing-ton) reports. This November Floridians will decide whether felons should get their voting rights back. After activists gathered over one million petitions, the constitutional amendment has qualified for the 2018 ballot. Kate Payne reports. The Florida Constitution Revision Commission convenes every twenty years to review proposals to the state constitution. This go-around, the commission began with nearly 900 filed proposals. A proposed bill of rights for nursing home residents has proven contentious, as Sara Hetherington (heather–ing–ton) reports. The Florida House is ready to take up two familiar healthcare reform measures Wednesday. Supporters say both bills will make care more accessible and more affordable. But Kate Payne reports the plans face uphill battles in the Senate. The plight of immigrants brought to the United States as children reverberated throughout national politics this week. But DACA sparked lively debates in Florida as well. Kate Payne catches us up on the program, which is slated to expire in March. Florida lawmakers appear to be fast tracking a controversial bill that seeks to regulate the state’s pregnancy crisis centers. As Sascha Cordner reports, the measure that wades into the abortion debate has already passed the Florida House and is now heading to the Senate floor. State House Speaker Richard Corcoran wants the Department of Homeland Security to investigate two Florida mayors for supporting sanctuary city policies. It’s the latest in Corcoran’s push for attention on the issue. Lynn Hatter reports. Florida lawmakers are working on a bill they hope will help pave a faster path forward for children of incarcerated parents. That story from Regan McCarthy. A Florida lawmaker is trying to revive a gun bill that has already failed to pass twice during the 2018 legislative session. Sascha Cordner reports. Florida lawmakers want to tighten the rules for low-income families getting cash assistance. Kate Payne reports a bill moving in the House would withhold benefits longer for those who don’t meet work requirements. The Florida House is rolling out dozens of recommendations on the state’s hurricane response efforts. Kate Payne reports equipping emergency shelters and preparing healthcare facilities top the list. In 2017 the American Society for the Prevention of Cruelty to Animals helped reunite thousands of pets with their owners. Many of those animals had been lost during disasters such as the wildfires in California as well as Hurricanes Harvey and Irma. Now Regan McCarthy reports Florida leaders are taking steps to help pets and their owners stay together should another disaster occur. In advance of this Dr. Martin Luther King, Jr. observance, Tom Flanigan reports Florida’s Capital City was marking the occasion with various events intended to promote historic appreciation and racial dialogue. One doesn’t need to look far to find examples of threats being made through social media. Messages left online can have real impacts on their victims, but Regan McCarthy reports, Florida officials say there’s little they can do about it since technology has outpaced the stat law. President Donald Trump’s derogatory statements on Thursday about a number of countries are echoing through the Florida political landscape. Nick Evans has the story—a warning: the language here could be inappropriate for some listeners. Lynn Hatter and Kate Payne hit some of the highlights in both legislative chambers as the first week of the 2018 Session comes to a close. Lawmakers are beginning to tackle the opioid crisis. But while seemingly everyone agrees the Legislature needs to intervene, Nick Evans reports the road ahead might be a little bumpy—as even supporters seem to have quibbles, tweaks or additions they’d like to offer. As the 2018 legislative session gets under way Republicans are forging ahead with a plan to make it harder for future lawmakers to raise taxes. Nick Evans reports the initiative has broad support among GOP leaders, and they’ve got enough members to send the idea to the ballot. For the past several years, the Florida House and Senate have battled over how to pay for public schools. And as Lynn Hatter reports, the House is drawing a line in the sand over what it will and won’t do when it comes to deciding how to appropriate those funds. Governor Scott delivered his 8th and final State of the State address to Florida lawmakers on the first day of Session and Tom Flanigan has the highlights along with the two Democratic responses. Florida Senate President Joe Negron and House Speaker Richard Corcoran outlined their priorities before their members Tuesday morning. Lynn Hatter and Nick Evans were following the action. After Florida’s Republican leaders laid out their plans Tuesday, the state’s liberal-leaning advocates and lawmakers outlined their priorities. Kate Payne reports.